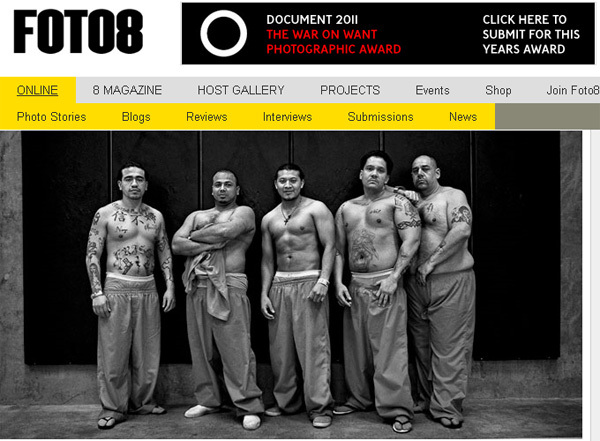 The list of photography magazines and journals with free online content is now at your service. 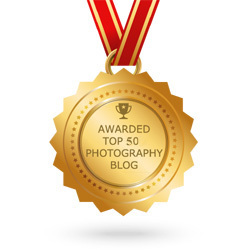 There are dozen, if not hundreds, photo news, cameras and lens reviews, articles and critics, photo galleries, contests, tutorials and other interesting tips from featured photographers for professionals and amateurs. These photo magazines through light upon the world of photographers from all continents and with various photo preferences: photojournalism, fine art, documentary, street, abstract, nature photography. From now and forever you don’t need to spend money and time on searching and buying glossy paper journals. 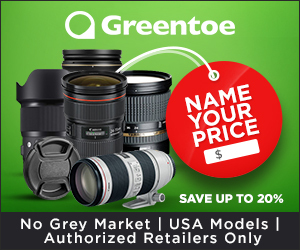 It becomes cheap and easy to visit your favorite photo magazine website for everybody who has a computer with an Internet connection. But still (if you are, by chance, a partisan of traditions :) ), you may find these photo journals in a bookstore just around the corner. You are welcome to choose the way of photo-world discovering but note that in the heaps of information listed below you’ll find just the very thing you need. Online and on newsstands, Digital Photo is the top digital photography magazine which presents you the latest news, equipment reviews and previews, photography tips and contests. 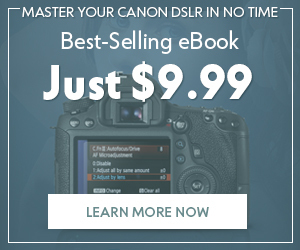 Digital Photo Pro Magazine is the professional’s guide to the latest DSLRs, digital photo technology, and professional photo technique. 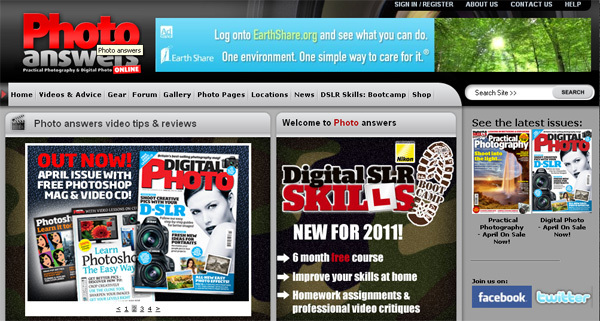 Digital Photo magazine is considered to be your #1 guide for better digital photography. For more than 100 years, Professional Photographer, the official magazine of Professional Photographers of America, has helped readers advance careers in the photographic industry. No other magazine offers a more influential presentation of the people, trends, products, and photographs changing and defining the portrait, wedding and commercial photography landscape. Amateur Photographer is the world’s oldest consumer weekly photographic magazine, first hitting the newsstands on October 10 1884. Look out for AP in your newsagent on sale every week, so it’s always the first with the latest news and reviews on cameras and equipment as well as the largest and most up-to-date marketplace for buyers and sellers. The award-winning fine-art photography magazine featurs the work of the world’s most important photographers plus articles by prominent art scholars. Outdoor Photographer is the premier magazine about outdoor photography. Review photography tips and keep up with digital photography as applied to nature photography; stay current with the latest in photography equipment. British Journal of Photography is published in the UK monthly by Incisive Media. BJP-online.com complements the deeper analysis of the print magazine with topical content that is updated daily, including news articles, informational resources, community galleries, forums and comment tools. published�in print form three times a year covering all four seasons�Spring, Summer, Fall and Winter. (March, July, November) The magazine is intended for nature photographers and nature enthusiasts who range from beginners to professionals. VIEWCAMERA� is a bi-monthly publication that began in 1988, and is specifically aimed toward the large format photographer. Each issue provides in-depth interviews with portfolios by respected photographers, new and used equipment reviews, workshop listings, and articles providing technical information for the large format photographer that cannot be found in any other publication. In addition, there are many regular features in each issue including Product Review, Working With a Master, and The Black-and-White Corner. Established in 1976, Photo Life magazine is Canada�s leading source for photography including technical knowledge and tips, industry news and events, international travel photography editorials, as well as interviews and profiles of major Canadian and international photographers. Photo Life is published six times per annum and is distributed to subscribers, newsstands, and participating photo retailers. 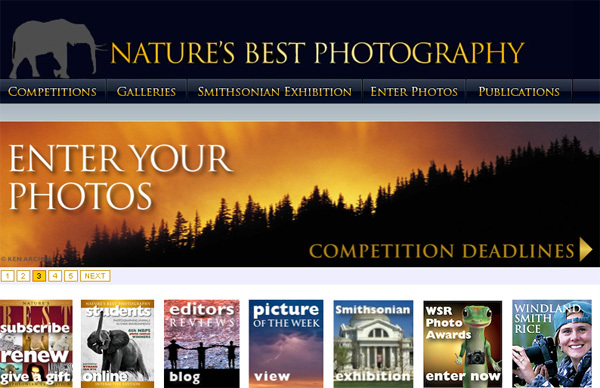 Nature�s Best Photography print magazine is a large-format, award-winning, showcase of nature as recorded by the world�s leading professional photographers, naturalists, adventurers, as well as new, emerging photographers. You will find images and the stories behind the shots on topics such as: wildlife, landscapes, plant life, travel, how-to photo tips, inspirational essays, and winners from our international photography competitions! Photo answers is brouight to you by the teams behind the UK’s two top-selling photography magazines, Digital Photo & Practical Photography. New Photographer Magazine is published by The National Press Photographers Association which is dedicated to the advancement of visual journalism, its creation, practice, training, editing and distribution, in all news media and works to promote its role as a vital public service. 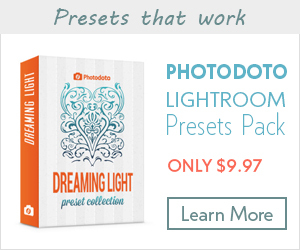 PHOTO technique incorporates the technology and methodology used in creating photographs into two categories. The first is a series of portfolio/article combinations that demonstrate both the means and the end result. The second is expanded technical articles intended to completely follow a process in detail, rather than offer short snip-its or tips. Photo Raw magazine was created in 2007 in response to declining editorial space for�documentary series.�It has become a valued voice and platform for strong,personal�work.Photo Raw magazine is dedicated to publishing in-depth photographic long term�projects�on essential issues. Snapped is an important quarterly magazine showcasing thoughtfully selected photography from the African continent by leading and emerging photographers. Emphasizing visual content within an evolving format, each issue features a themed portfolio, current news photo essays by outstanding photojournalists, and in-depth interviews with selected photographers. Also included are profiles, technology reviews, previews, and listings of events, books, exhibitions, etc. Produced in adherence with the high standards associated with Bell-Roberts publications, Snapped is available at leading bookstores, and selected outlets nationally. Both international and national subscriptions may be purchased. 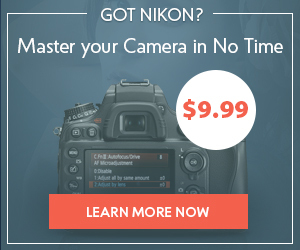 The magazine for photo enthusiasts of all skill levels looking to maximize their digital photographic experiences. Each issue is filled with reviews of the latest high-end D-SLRs, the hottest new digicams, and the newest editing techniques. Plus, exciting profiles on top industry photographers and tips for maximizing your photos. If you like this ultimate list of photo magazines then you might also be interested in other tips for photographers which are presented on our blog. You can view them here.